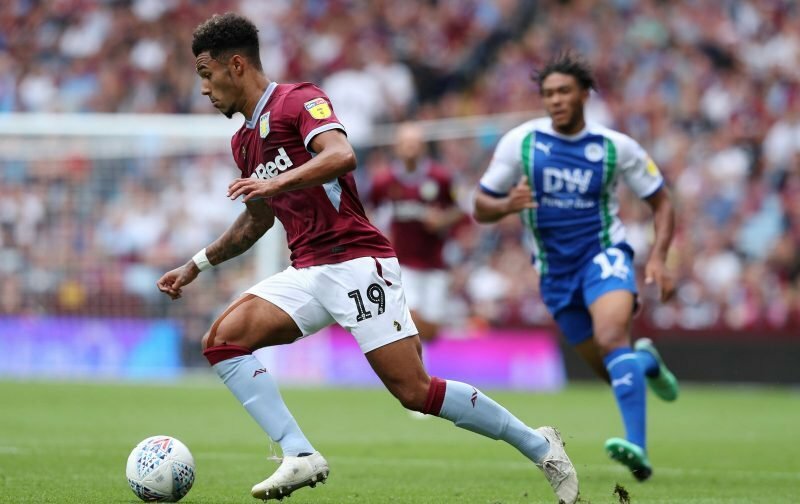 During the week it was being claimed in some corners that Aston Villa head coach Dean Smith was mulling over a recall for young winger Andre Green given his goalscoring form for loan club Portsmouth. Others like the Sun displayed their ignorance and pointed to his lack of game time at Fratton Park, seemingly oblivious to the fact that having arrived with them, he quickly underwent surgery for a cyst on his knee, and he’s only really been back in proper contention for them since December. With that said, he does have five starts and six substitute appearances to his name and he’s chipped in with five goals for them, and he is being used as an impact sub. With it supposedly being a season long deal, although I’m sure at the point it was said to be half a season only as that was the note I made, it’s said Smith is looking at ways of recalling the 20-year-old as we keep one eye on promotion. All deals have a break clause, it just depends on when it comes into play and with what conditions, so Smith won’t have to look that hard if it’s on his mind. Let the kid develop, he’s doing really well for them ???????? With reports suggesting that we may recall Andre Green from his loan spell at Portsmouth, do you think it’s in his best interest to be recalled? I’m not convinced by the report myself, we’re well stocked with wingers and no point bringing him back unless he’s going to play and now he’s up and running the spell has got him in decent form and his confidence will be improving. Jordan Lyden has reportedly returned following his own loan spell out with Oldham Athletic though.